Here, the interiors and architecture are inspired by the grand palaces of the Ottoman period, with hand-painted finishes and frescos, and rich Turkish artworks. 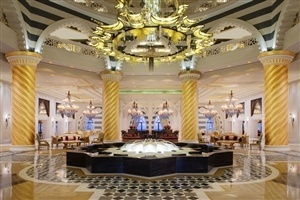 Jumeirah Zabeel Saray is opulent, imperial and such a different world to stay and play. 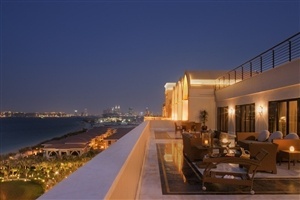 A luxury beachside resort situated on the west crescent of the iconic Palm Jumeirah man-made island, with stunning views of the Gulf and Dubai skyline. 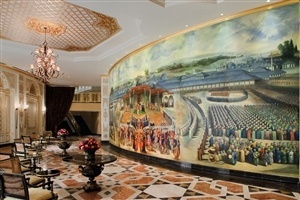 The Talise Ottoman Spa continues the Ottoman theme, whilst the entertainment happens in the Nehteran Theatre and Show Centre. Scuba diving and other watersports will keep you well-occupied. 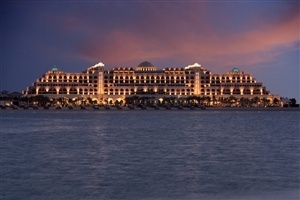 Then, retire to one of 405 guest rooms or 38 exclusive villas. Ten restaurants and bars offer plenty of delicious choice, day and night. 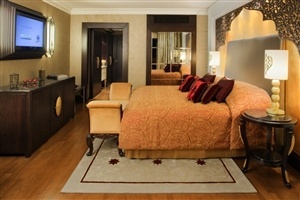 Styled and decorated in the style of the Ottoman Empire, the accommodation here is full of character, combined with plenty of the very latest luxury features. A Superior Double Room has, as expected, a double bed, private balcony, a bathroom with separate ‘rain shower’ and oversized Turkish bath tub, complete with luxury Asprey toiletries. 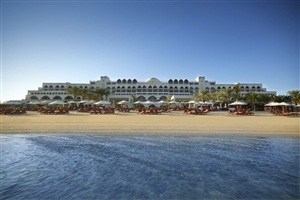 You’ll have an LCD TV iPod dock, internet access, and complimentary access to the Wild Wadi Water Park. 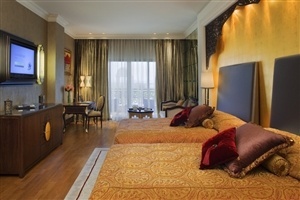 Suites start with the Junior Suite King, with a king-sized bed and adjoining living room. Good for two adults and one child. Here, you’ll enjoy free wireless high-speed internet, unlimited entrance to the Wild Wadi Water Park, private beach access, airport transfer, butler service and all the benefits of The Club Lounge. Two bedroom suites are great for two adults and two kids, or four adults. They have a separate living/dining area, two bathrooms, as well as a guest WC. 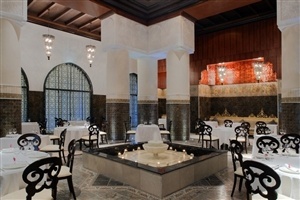 The dining options at the Jumeirah Zabeel Saray start with a trio of signature restaurants that really set a superb standard. You’ll be served Lebanese Cuisine, complete with Arabic music and belly dancing too. The food is good enough to have been awarded a BBC Good Food Middle Eastern Award for the best Middle Eastern/North African restaurant of 2012. A specialist in North Indian cuisine, with a contemporary twist. 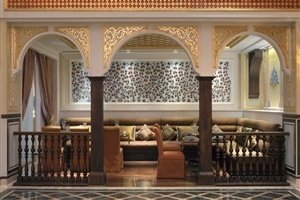 Dubai’s first Anatolian restaurant, with classic Turkish cuisine, all evoking the true spirit of the Ottoman Empire. 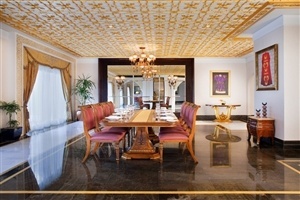 Sophisticated and elegant with soaring ceilings and fine dining. Serving Vietnamese food that evokes the French colonial era of the 1920s, it also serves wonderful cocktails. 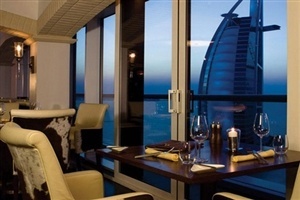 More casual dining includes the Imperium with its view of the sea, breakfast buffets, and brasserie-style lunches and dinners. On the ground floor, Ixir connects to the Talise Ottoman Spa and offers exclusive healthy stuff to spa guests: juices, teas, vitamin cocktails, and so on. You can sit on a palm-fringed beach with the family and eat Italian. Very relaxing. 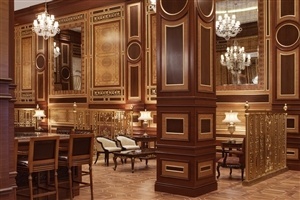 Head for the Sultan’s Lounge for a really comprehensive selection of teas and coffees, in elegant 19th century surroundings. Light fare and snacks are served. 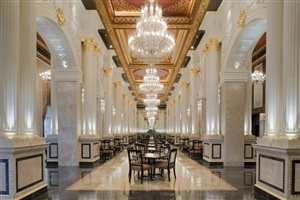 Adults will appreciate places like the Voda Bar - uber-chic surroundings, cocktails, premium beverages, and sushi too. Sophisticated cigar lounge with plenty of colonial charm. Sample superb cigars, and luscious chocolates too. In the Music Hall, there’s a modern take on the traditional dinner dance, with ten international live acts each evening to amuse you as you dine. All very grown up. 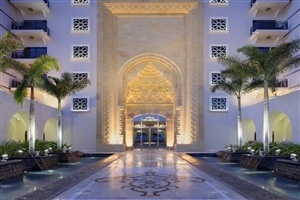 Take a short 35-minute drive from Dubai’s international airport and you will be at the Jumeirah Zabeel Saray, Dubai. It’s perfectly sited on the west crescent of the Palm Jumeirah, far enough away from the city to be restful, but right opposite Dubai’s Media/internet City and the Dubai Marina. A regular shuttle goes to local attractions like the Mall of the Emirates or the Wild Wadi Water Park. All the 405 guest rooms, designed in the traditional Ottoman style, have stunning ocean views, whilst 38 exclusive villas are set around the lagoon pool, with tropical gardens and tennis courts. As a Club Lounge guest, you can enjoy benefits such as a complimentary breakfast, all-day refreshments, afternoon tea, pre-dinner drinks/canapés (a two-hour ‘happy hour’), and later check-out times. The Talise Ottoman Spa is really special, combining the ancient healing philosophy of the Ottomans with modern spa techniques and luxury. Spread across three floors, the spa includes separate male and female sections, hammams, and a special couples’ retreat on the mezzanine floor. Named, in 2011, as the World’s Leading Spa Resort by the World Travel Awards, there are a number of ways to relax and be pampered. For example, three authentic Turkish Hammams, both Russian and Finnish saunas, two steam rooms, and the same number of indoor salt-water Thalassotherapy heated swimming pools. 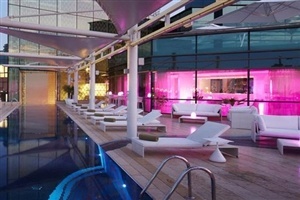 Then, there’s a pair of relaxing lounges, eight hydrotherapy rooms, and eight outdoor spa pavilions. 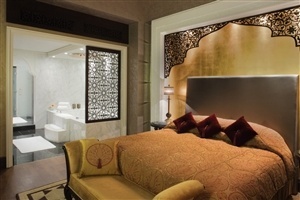 A grand total of 42 treatment rooms include a snow bath and two couples’ suites. 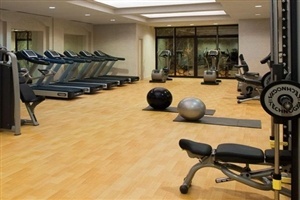 If getting fit and toned is more your thing, a fully-equipped fitness centre awaits. If all that leaves you with an appetite or thirst, ten restaurants and bars are more than enough choice for most. From signature dining with exceptional chef-driven cuisine, to something more casual, and lots of bar and club options, you can eat, drink and party very well here. The resort also houses the Mehteran Theatre and Show Centre, which can take up to 600 people, and has a private screening room, outdoor infinity pool, two jacuzzis, a pair of flood-lit tennis courts and a children’s pool too. The resort’s shopping arcade has a dozen premium boutiques. 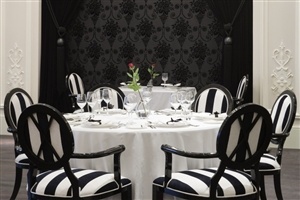 Business visitors will welcome a choice of five meeting rooms, catering for gatherings from as few as 18, up to 50, backed up with all the necessary technology and great service. Get out into the beautiful desert surroundings on a 4x4 sunset desert safari, or under sail power, a dhow cruise with dinner. All the fun of the Wild Wadi Water Park is just down the coast, and the good news is that entrance is free for hotel guests. Yes, you can ski in the desert! Ski Dubai is the world’s largest indoor snow park. Plenty of downhill fun, and lessons too. Head up into the blue sky over the desert and then take the plunge with Sky Dive Dubai. Tandem dives mean you can enjoy the thrill without hours of instruction, although that is available too. The Burj Khalifa is the tallest building in the world, and you can head up to the 124th floor to enjoy the ‘At The Top’ outdoor observation deck. The Dubai Desert Conservation Reserve can be visited for a day. Its wonderful sand dunes and gravel plains are home to hundreds of unique plants, birds, reptiles and mammals. These include the iconic Arabian Oryx with its distinctive markings and long straight horns. The local souks are full of bargains in gold, spices and other local specialities, if you are prepared to bargain. To see what Dubai was like before the discovery of oil, spend an hour or two at the Dubai Museum. 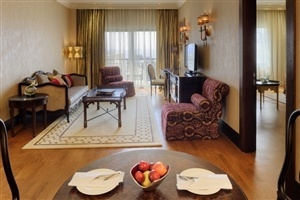 Pick a higher floor room for magnificent views of the Burj Khalifa. Rooms away from the lifts are quieter. Note that only the lower floor rooms have balconies. 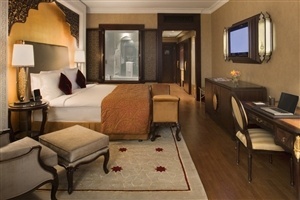 Newly-renovated rooms are from the 18th-floor and higher. 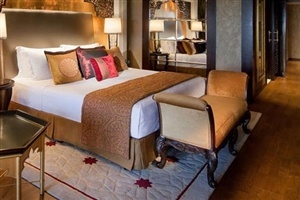 If you want more of a child-free holiday break, go for the executive club privileges. All rooms face the sea and offer a beautiful view.